Es una sofá cama moderno que no parece como tal. Algo así como un lobo con piel de cordero. Basta con retirar los cojines del respaldo y voltear el asiento hacia adelante. Volià, colchón tamaño queen al instante. Pata de acero inoxidable cepillado. Disponible en gris metálico (gun metal), gris piedra obscuro (pebble), caqui (persimmon), humo (smoke), o gris piedra claro (stone). We thought most sleeper sofas took up too much space. They were boxy and heavy on the ground and the mattress usually fit within the arms, meaning that the width of the sofa was a double or queen bed plus the width of the arms. 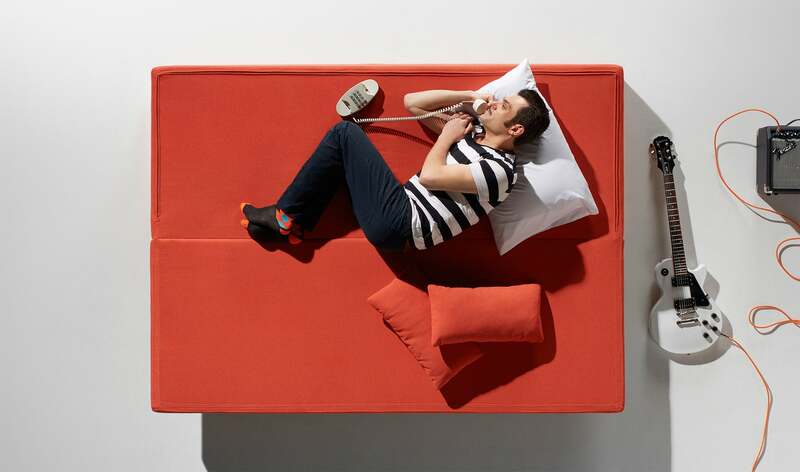 If you were buying a sleeper sofa, you were probably limited on space. We began designing One Night Stand with the idea that it would sit on a leg, up off the ground, creating some visual lightness. And we’d limit the width of the sofa to the width of a queen mattress. 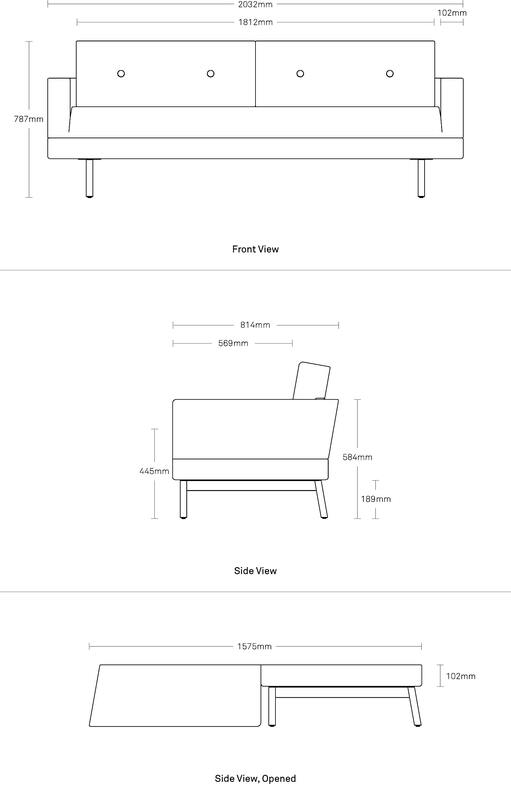 To accomplish both of those goals, we designed a small sofa, propped up on legs, that opens like a book into a queen-size sleeper.